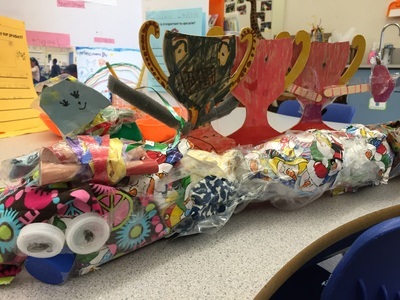 The students of Room B6 were engaged in a month-long project learning all about community jobs, goods, services, product marketing, and the importance of upcycling. 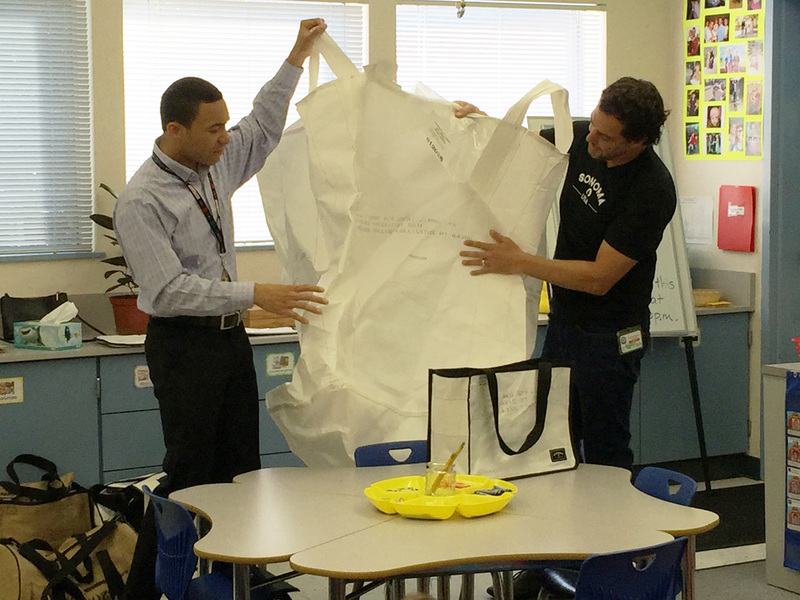 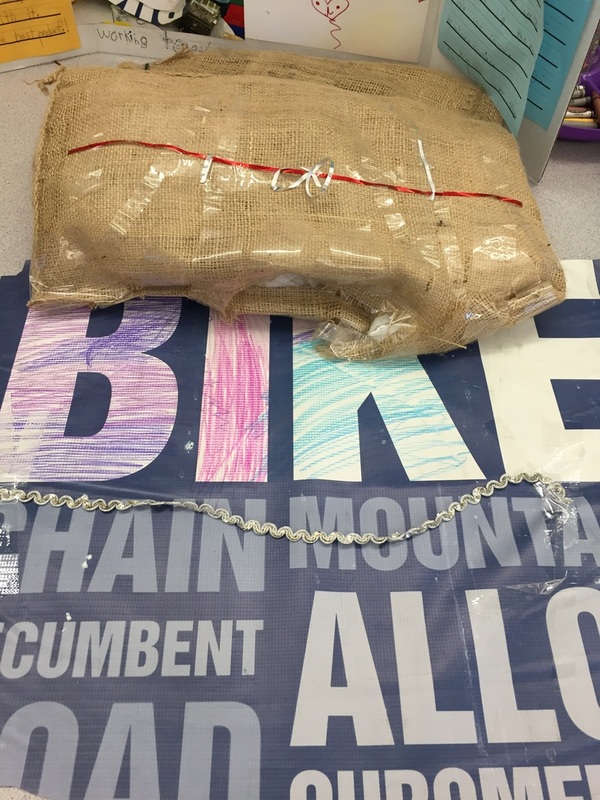 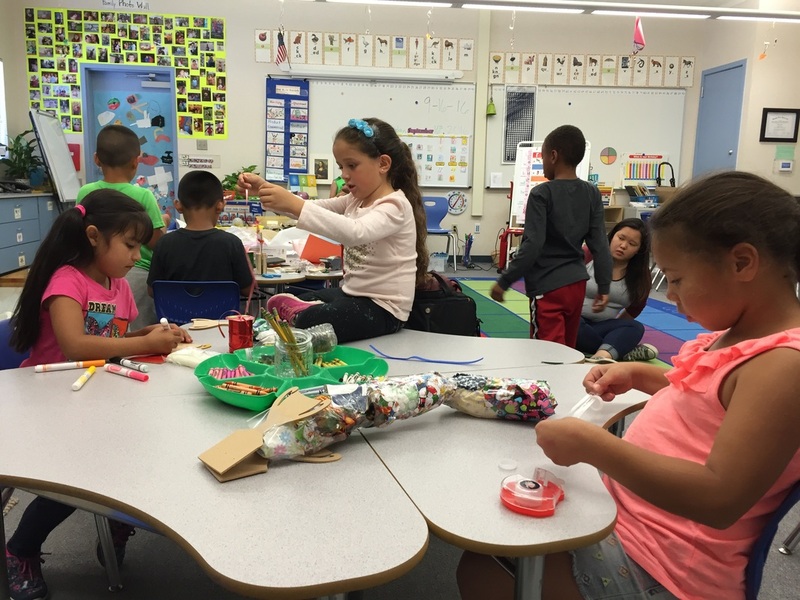 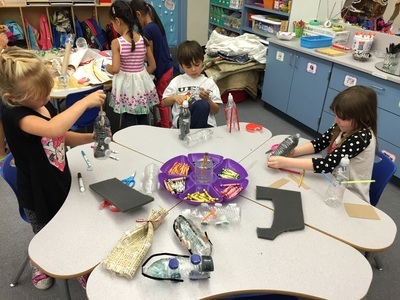 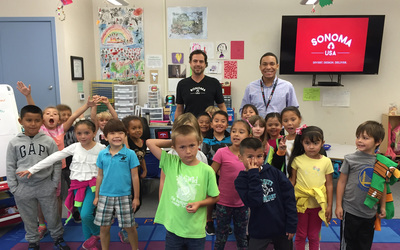 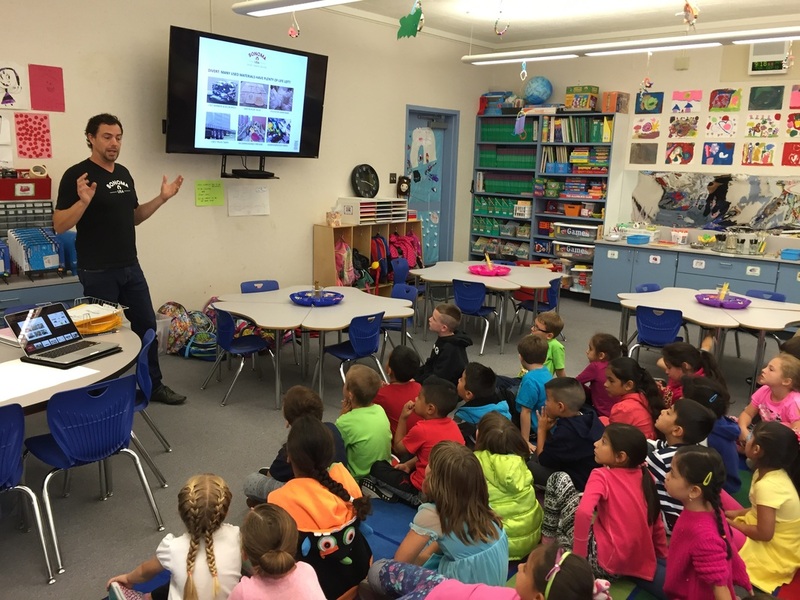 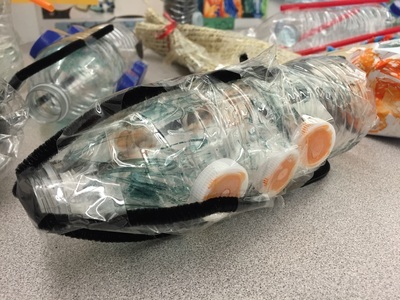 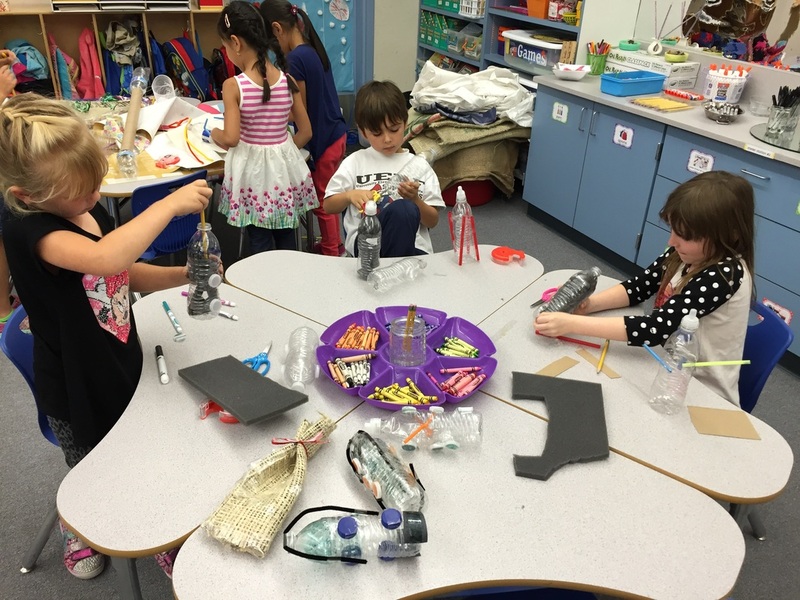 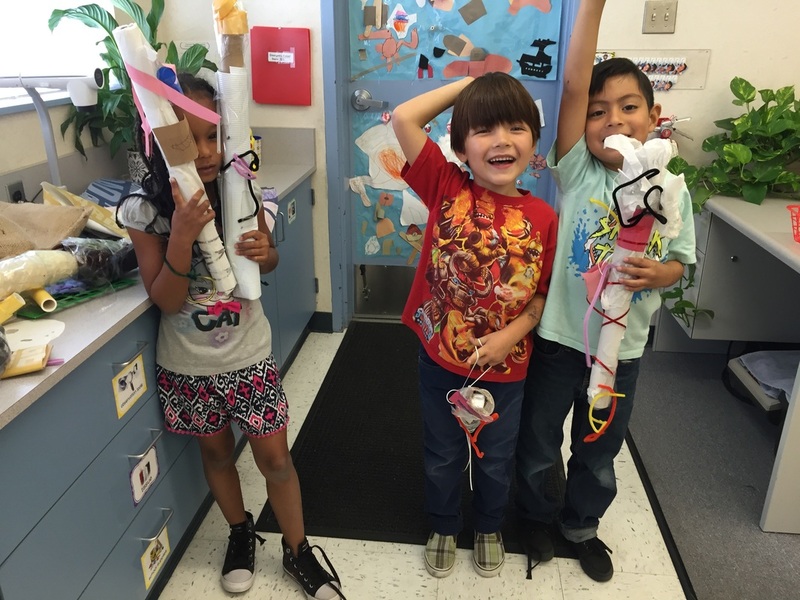 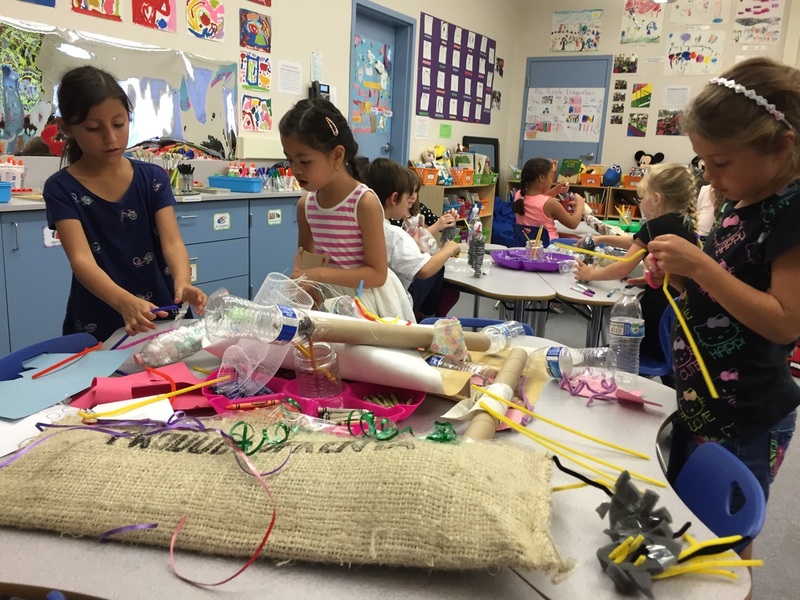 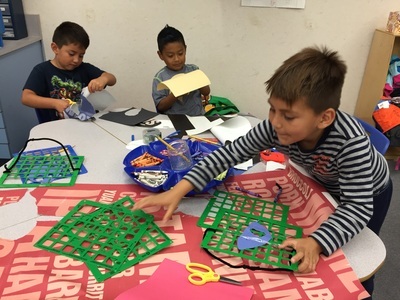 I worked with Steffen Kuehr, the CEO of Sonoma-USA, a textile and apparel company based in Santa Rosa, in challenging my students to create their own businesses and construct model prototypes of their products using recyclable materials. 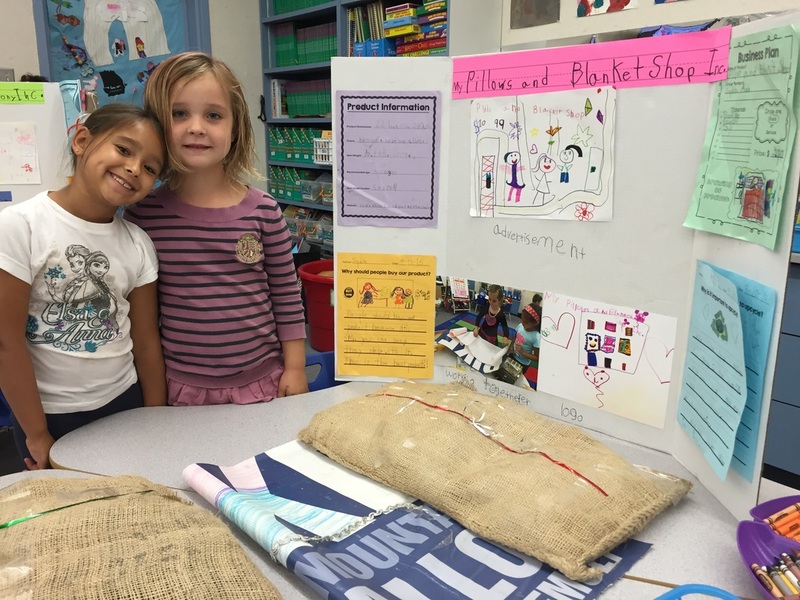 We are grateful for his generous donation of materials including burlap sacks and vinyl billboards. 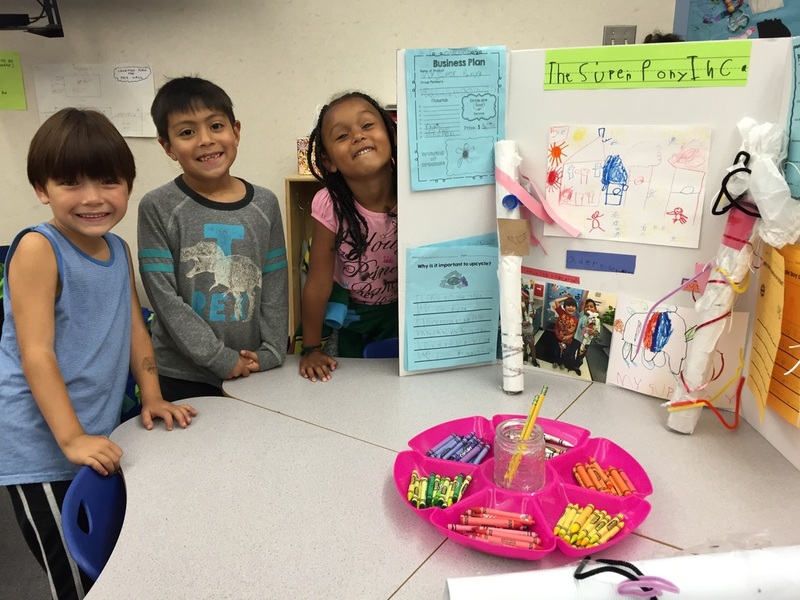 Small groups of students collaboratively drafted business plans, drew logos, designed advertisements, and filmed commercials to market their products. 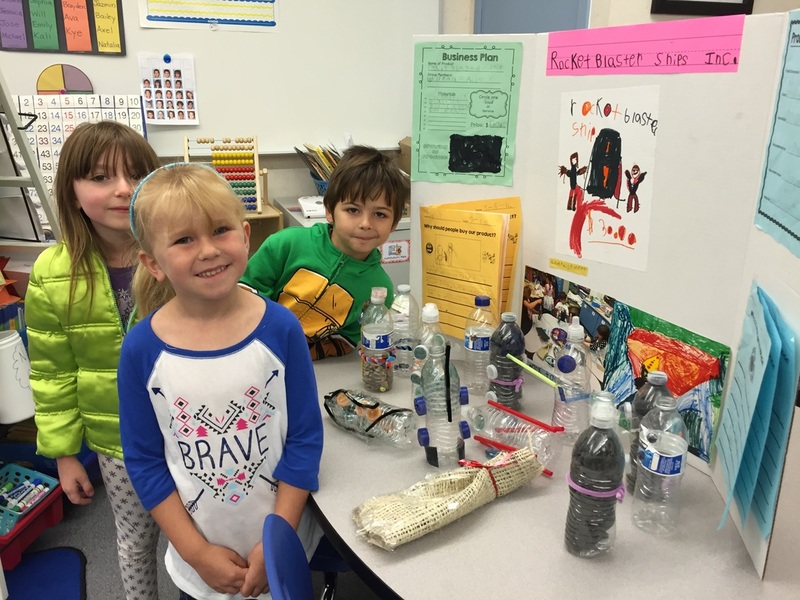 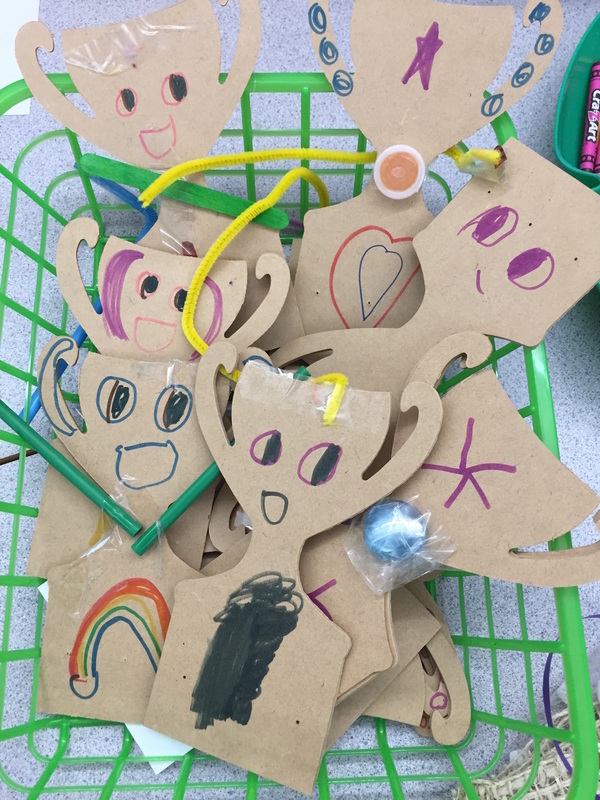 They wrote about why it is important to "upcycle" and presented their reasons for why people should buy their products, even designing their own business cards. 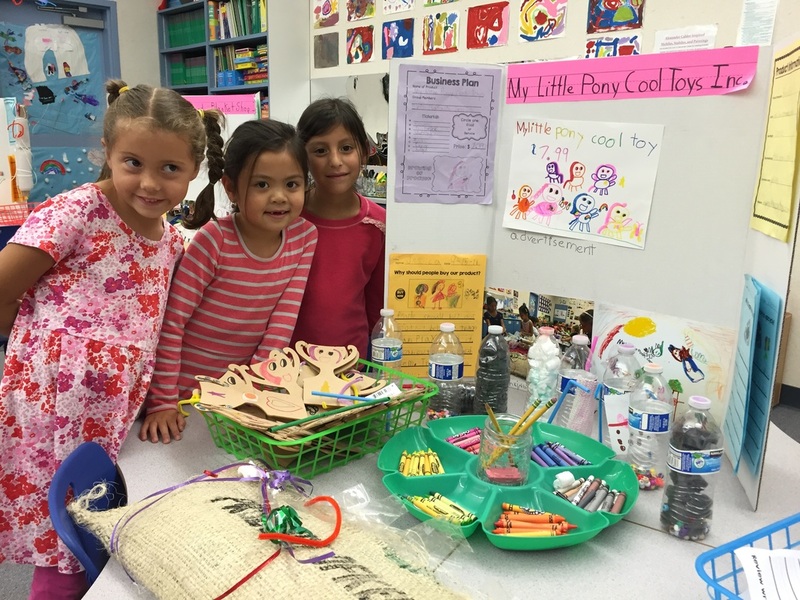 They learned various mathematical concepts including weighing and measuring their items as well as figuring out coin and dollar values. 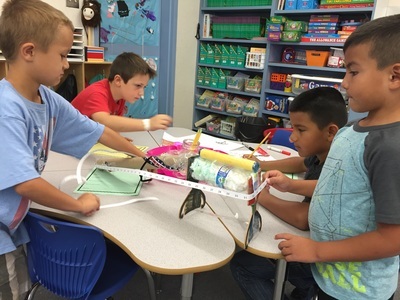 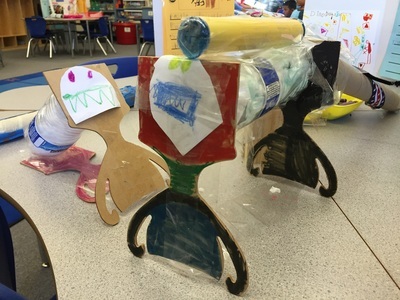 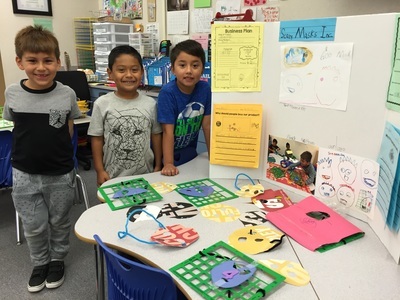 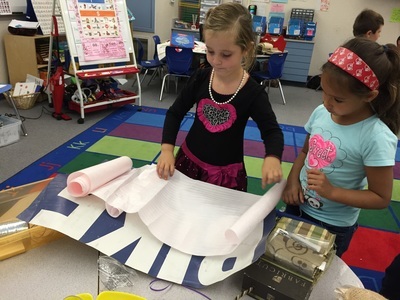 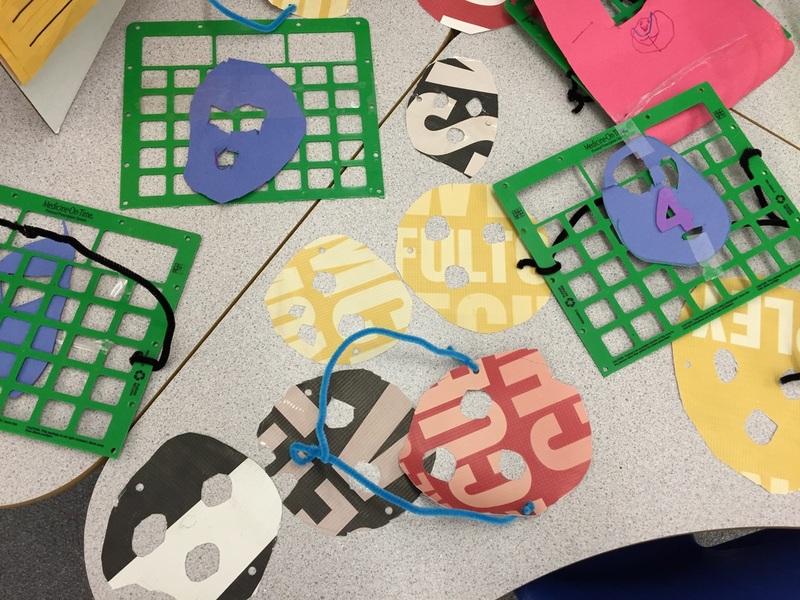 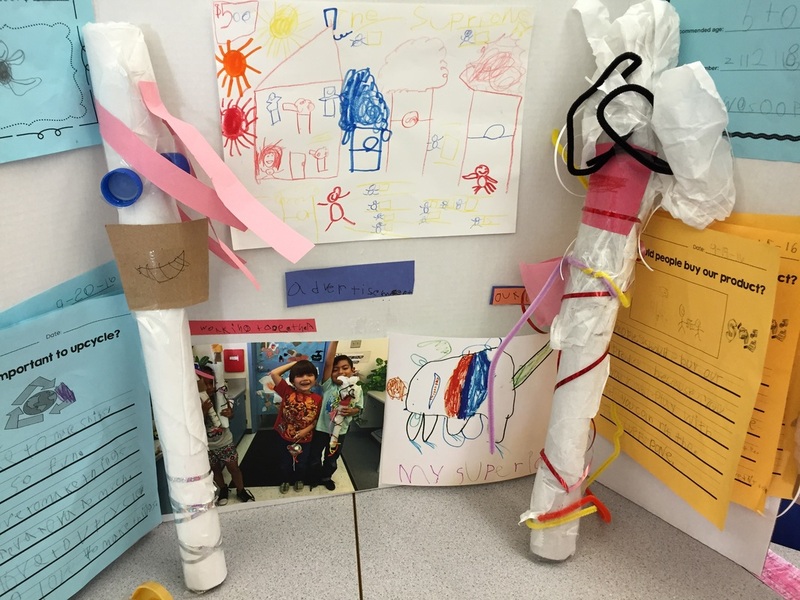 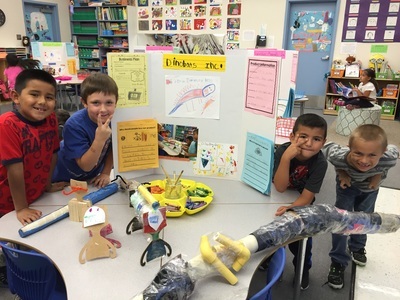 In addition to the reading, writing, and mathematical skills addressed in this project, they practiced the essential 21st century learning skills: collaboration, communication, critical thinking, and creativity. 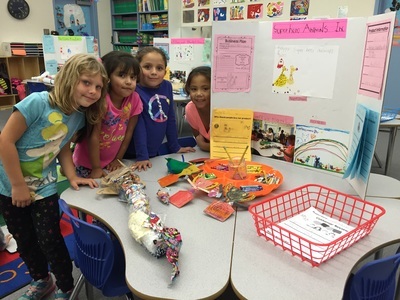 Students strengthened their cooperation skills as they formed business groups and worked together in teams to create successful products. They learned how to make agreements and engage in purposeful collaborative conversations. ​My Pillows and Blanket Shop Inc.
​My Little Pony Cool Toys Inc.